British Royal Navy officer Sir John Franklin and the 128 men of his expedition lost their lives in 1847 attempting to find a way through the Canadian Arctic from the Atlantic to the Pacific Ocean. The elusive Northwest Passage remained unbreached – except by icebreakers, tugs, and small cargo ships – until just now. The Danish-owned commercial bulk carrier Nordic Orion (IMAGE ABOVE) passed through from Vancouver, British Columbia, where it was loaded up with coal on September 6th, to Baffin Bay in the North Atlantic, which it reached early last week. The 225m 75,000-ton vessel was strengthened for the voyage and bound for Finland, where the metallurgical coal will likely be used to make steel. 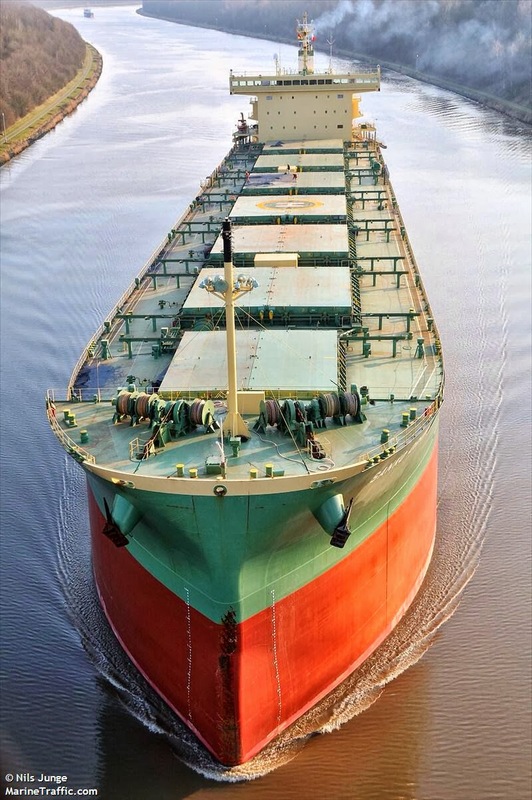 By bypassing the usual route through the Panama Canal, the ship was able to carry about 25% more coal and trim about 1,000 nautical miles from its journey. But as Wendy Stueck reports in The Globe and Mail, "While shipping agents in Vancouver and around the world are mulling potential implications for shipping commodities, others have voiced concerns about the lack of environmental and safety infrastructure in Canada’s North." Rather than a historic milestone, the accomplishment represents the potential for another environmental disaster.